Discounted entry deadline ends Monday, February 11, 2019! Don’t miss out on the opportunity to take advantage of the discounted entry offered by International GT prior to each race of the season. For the season opening race at Sebring International Raceway, February 27-March 3 the discounted entry ends this coming Monday! On line registration is now open for the Road Atlanta round of the International GT Championship. 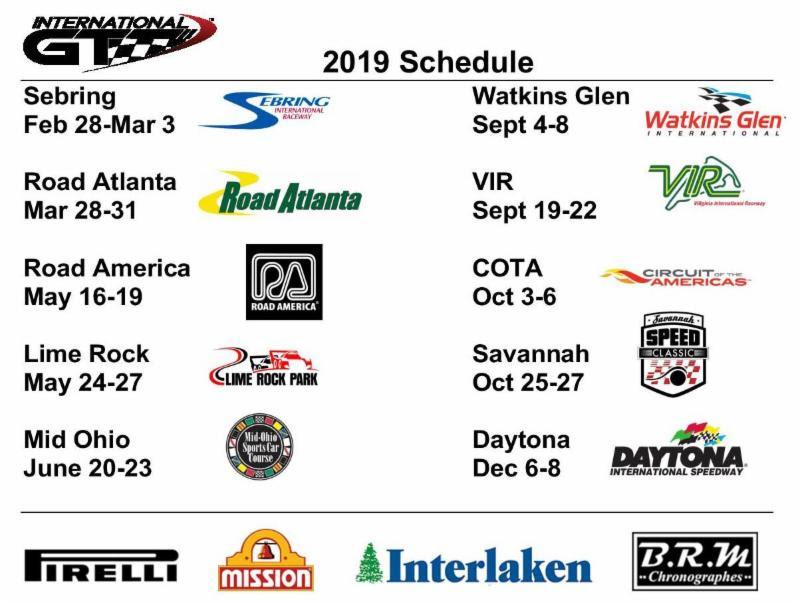 Road Atlanta was added to the schedule in 2018 and is a hugely popular circuit for many of our drivers. Click below and follow the prompts to enter or if you need any assistance contact Julie Bentley at 770-380-7770 or jbentley463@gmail.com.